Thanks to my new love for Pinterest, I no longer have to search forever to find a recipe worth trying! I’m first drawn to the picture (obviously!) and then click to make sure the ingredient list is comprised of minimal and everyday items. So long as the instructions don’t lead me to believe I’ll be spending all day in the kitchen, it’s a keeper! So when I came across these adorable little french toast cups I thought it was the perfect way to start a Sunday morning. Kudos to the recipe originator, Stephanie, for putting the perfect spin on a bread pudding recipe to achieve these delicious results! Since the original recipe yielded only 6 muffins and I had a 12 muffin pan, I doubled the recipe. And thank goodness I did because all twelve were gone before I was done cleaning up! Step 1: Preheat oven to 350. 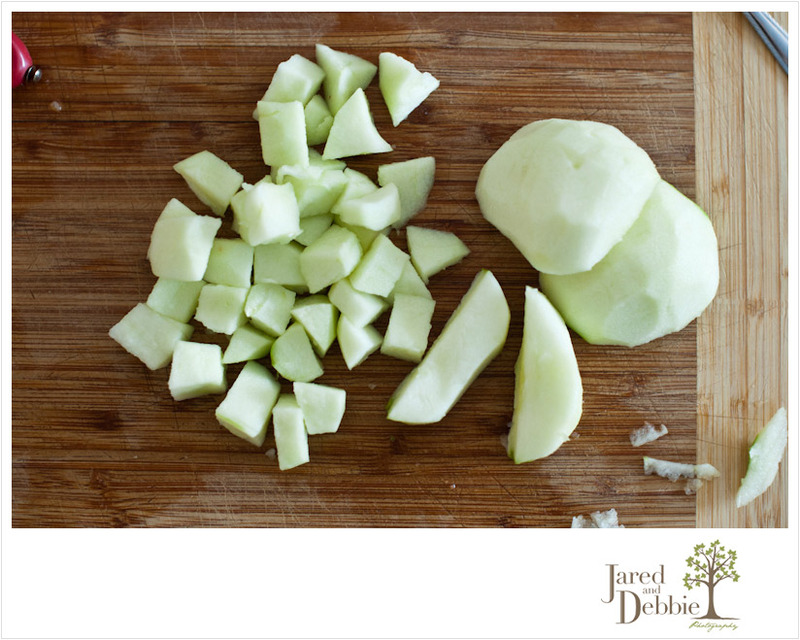 Prep apples by cutting them into cubes. 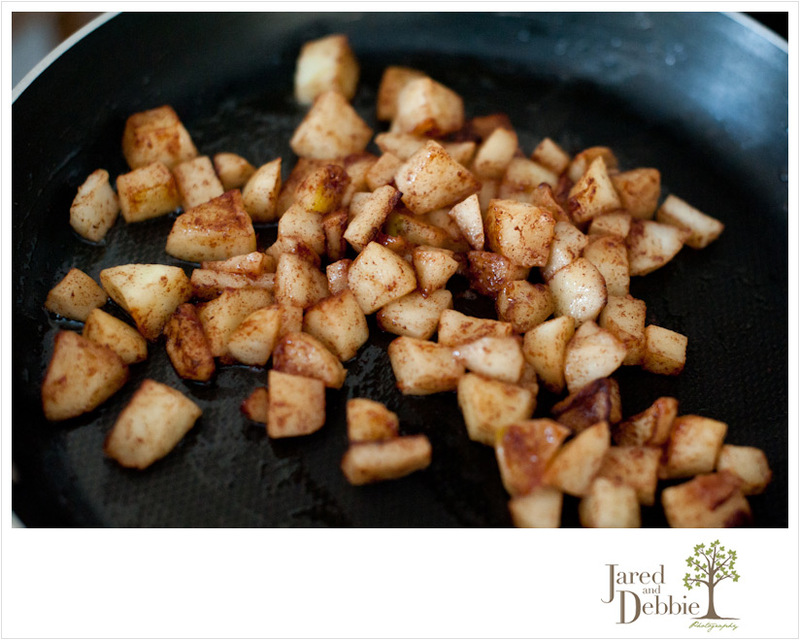 Step 2: In a medium skillet, saute apples with butter and cinnamon for about 7 minutes, or until soft. Set aside. 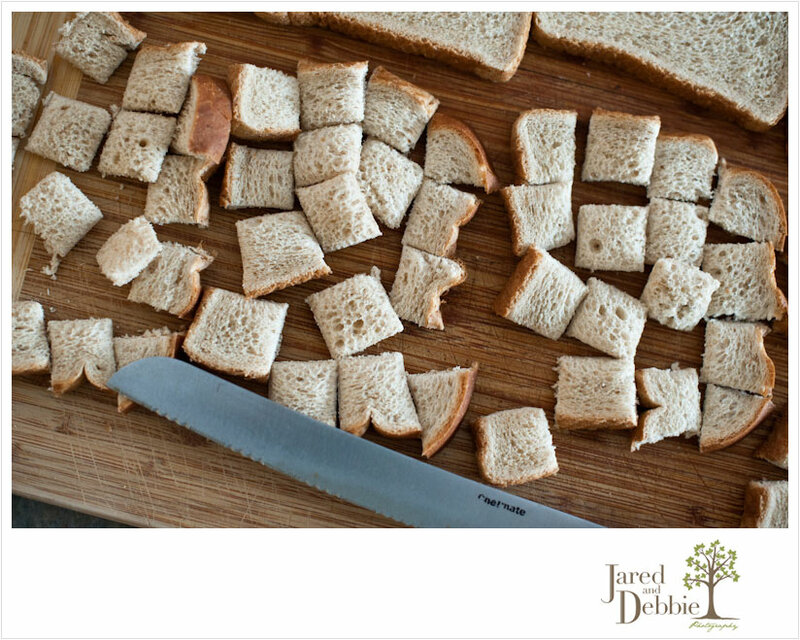 Step 3: Prep bread by cutting it into small squares. Step 4: In large mixing bowl, add eggs, milk, vanilla, cinnamon and nutmeg until well combined. Step 5: Add bread cubes and mix in until well saturated. Add the apples and mix until well distributed. Step 6: Using a regular size muffin pan, scoop bread evenly into the 12 muffin cups. Bake at 350 degrees for 20-25 minutes or until set and lightly golden brown. Step 7: Mix 1/2 cup confectioners sugar with 1 tablespoon of milk. Stir until smooth and drizzle on top of french toast cups. <— who knew it was that easy to make icing?!? Delicious and simple! If you try this recipe be sure to let us know how you liked it by commenting below or leaving us a note on our Facebook page! Happy Sunday! Kathy Ellen Davis - Might have to try this today! Nice job! p.s. You should make a board about pinning it and making it…I’m thinking of doing one…put the pin picture and what you made right next to each other. So many people pin and I think it’s great when people do make stuff!